It’s common knowledge that in order to prolong the life-span of machines and equipment, they need to be properly maintained. Larger and more complex machines need to be checked out by a professional every once in a while, but there are some things that the average operator, without excessive knowledge about it, can perform themselves, like lubrication for example. Lubricating a machine is done by applying a lubricant like diesel, kerosene, light oils, ULP, etc. to the moving parts of the machine. 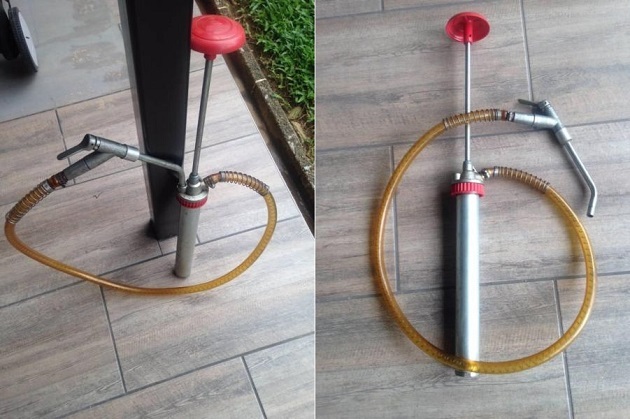 This is typically done using a hand fuel pump, which is designed especially for manual centralised lubrication of machines that feature a lot of lubrication points. A hand fuel pump can come either with, or without a reservoir. Moreover, they can have an acrylic transparent and MS body. These fuel pumps use a very simple mechanism to operate. They feature a piston and a small tank to carry the lubricant. The user just needs to press the trigger on the piston, which causes the spring force to pressure the lubrication material out of the tank through the pistol. Depending on the size of the fuel pump tank, you’ll need to refill it every once in a while. Furthermore, some pumps have holes that can be used to mount them on the machine for easier handling. Some of the most common places where these pumps are used include: looms, small power presses, pouch packing machines and machines that have no more than 30 lubrication points. Simply put, using these pumps can maximise your productivity and increase the longevity of your machine. One such pump is the Macnaught multi-purpose hand pump. It’s one of the best on the Australian market, capable of transferring a wide array of fluids, including lubricating oils, diesel fuel and a wide range of non-corrosive chemicals and fluids. The pump is accompanied with a telescopic suction tube and a 1.8 metre delivery hose, and it’s suitable for 60-205L drums. It’s supplied with Nitrile, Viton and EPDM O’rings for compatibility with various types of solvents and fluids. For a wider range of fuel pumps, you can browse online or just visit a local hardware store. But before you go to the store, make sure you’re well-informed about the purchase you’re able to make, in order to make the best decision possible. Typically, these pumps can cost anywhere between a few hundred up to a thousand dollars, but they’ll eventually pay out for themselves by prolonging the life-span of your even more expensive machinery!